Make torpedoes and TNT (I find a torpedo-TNT combo the most effective). If you get a torpedo facing the wrong way, try to pair it to ensure clearing out piggy banks. Focus on clearing the corners and middle with torpedoes and TNT. 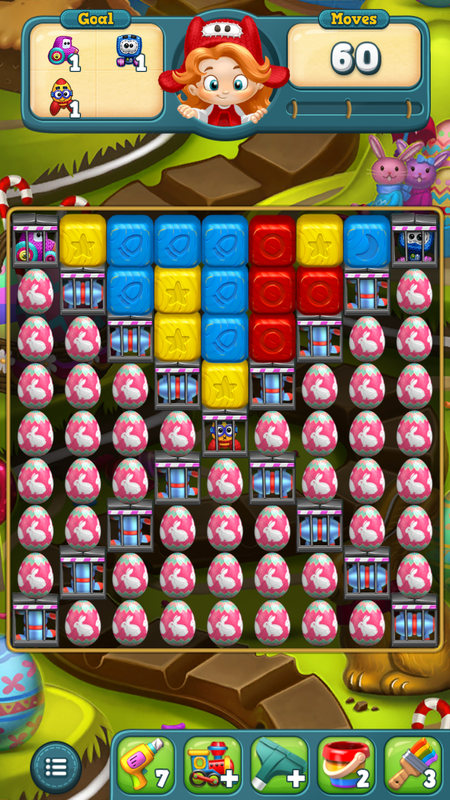 Beyond that, chain reactions with torpedoes help–but be sure to avoid making a cube power up before you’ve cleared much of the board. You’ll end up having to waste it and the moves it took to create and clear. You have 48 clears to make in 30 moves. 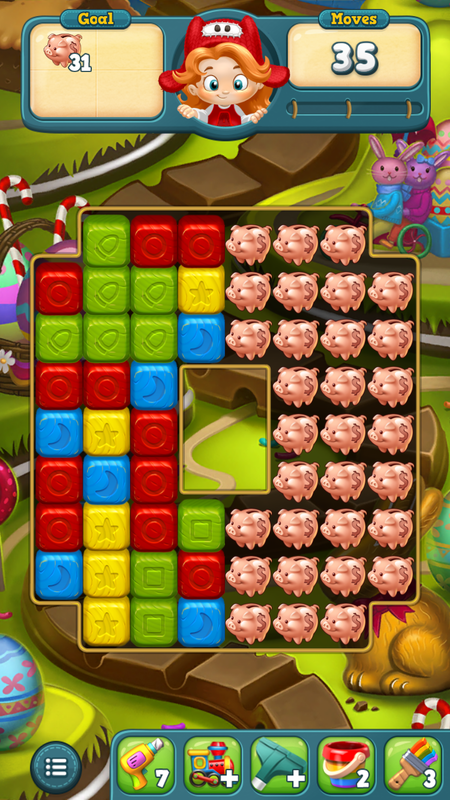 Usually, with bubbles, that isn’t too bad, but on this level, the shape of the board makes the singles on the edge harder to clear. Don’t worry too much about the eggs. 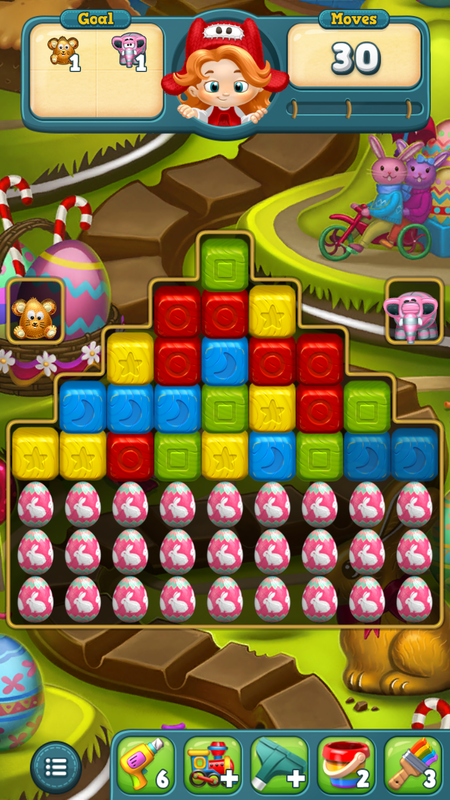 Make sure you make each move clear as many bubbles as possible. Even with that you’ll still need some luck to get through. 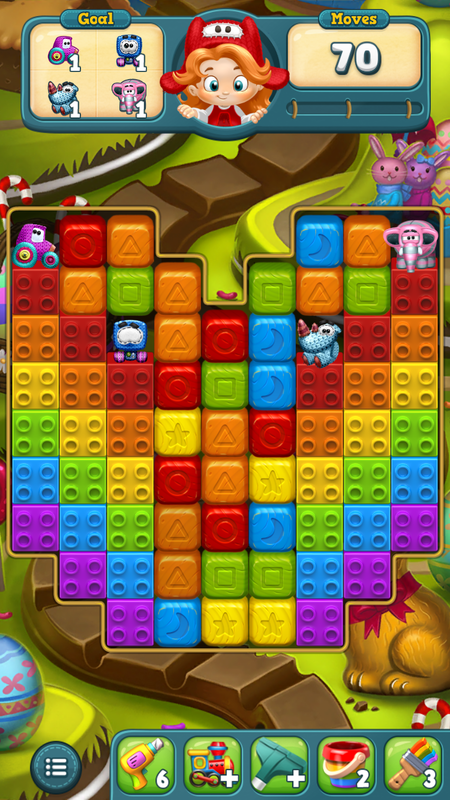 You’re likely going to have to make a couple of moves to position like-colored blocks next to bricks to clear them. 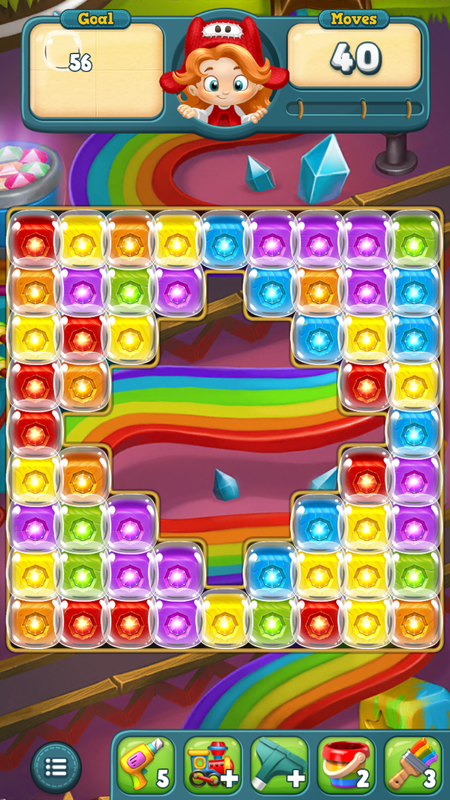 Once you clear a few blocks (hopefully up higher), you should be able to get some power-ups. Clear torpedo-making block combos above the toys on the chance that you’ll get a vertical one that will clear the toy. Otherwise, torpedo-torpedo or torpedo-TNT combos will help clear a pathway for the toys. I wish I could auto-reply to everyone with some detox MLM on Facebook with this. Don’t fall asleep on this one, you need to clear the sides. However, many starting layouts will already have a torpedo or TNT setup for you, and you can usually clear those into a two cube combo. 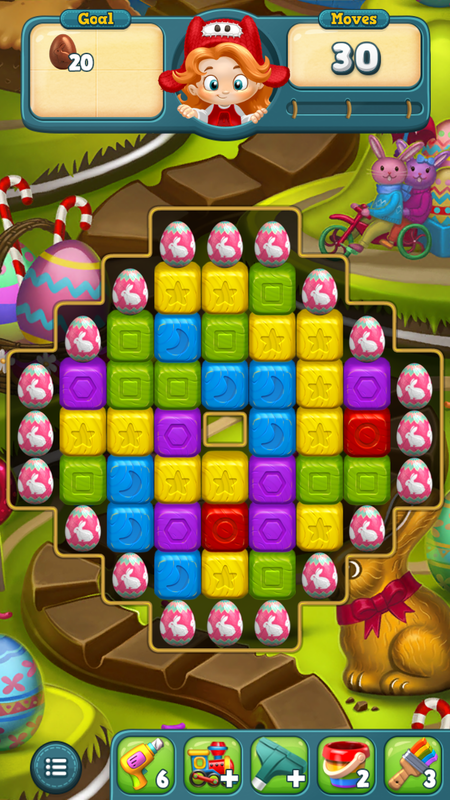 This one is a little tougher than the previous level. You have 40 clears to make in 30 moves, but you also don’t get additional eggs to make matches on. Best to go for matches next to three eggs at a time. The last few clears will likely burn a few moves. This is a pretty basic one. 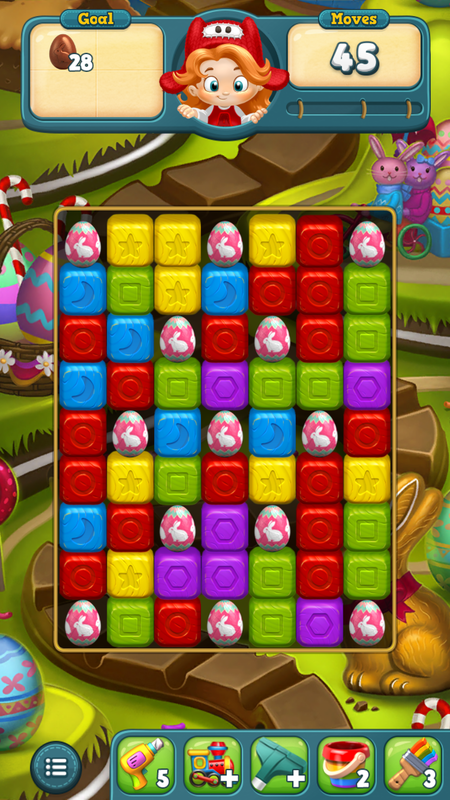 You have 56 clears (2 x 28 eggs) in 45 moves. 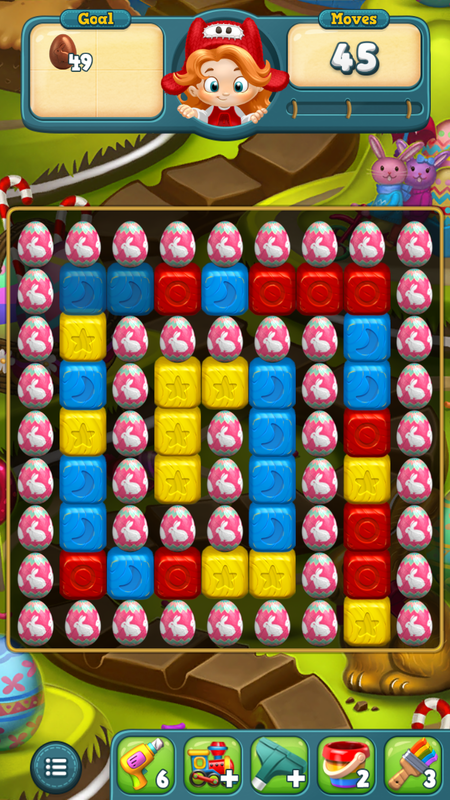 Just go for block clears that touch at least two eggs or that make power-ups. 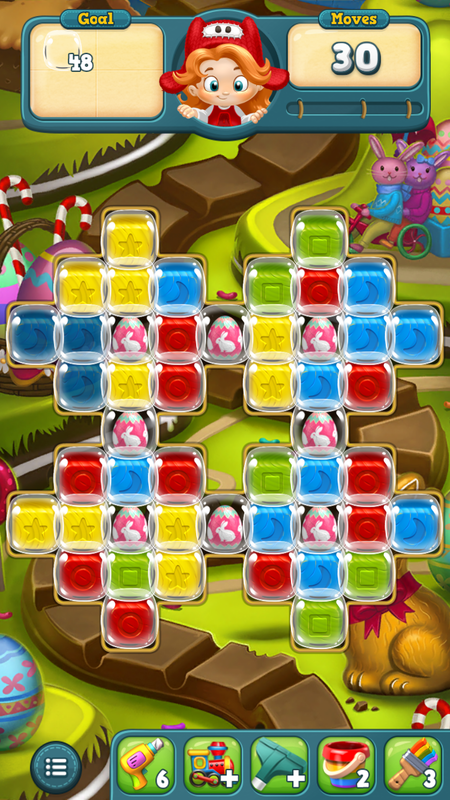 Prioritize top to bottom with the moves that clear the most bubbles and making power ups.